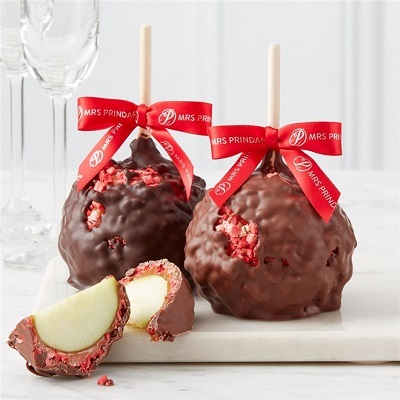 Mrs. Prindables is celebrating Valentine's Day by offering 25% off select gourmet caramel apples with coupon code LOVE25. They offer 28 decadent gift selections including chocolate and caramel dipped pretzels, caramel candies and truffles. Prices start at just $5.99 before discount! Get their delicious Chocolate Covered Strawberry Petite Caramel Apple 2-Pack for just $14.99 (regularly $19.99) and have it delivered in time for Valentine's Day.